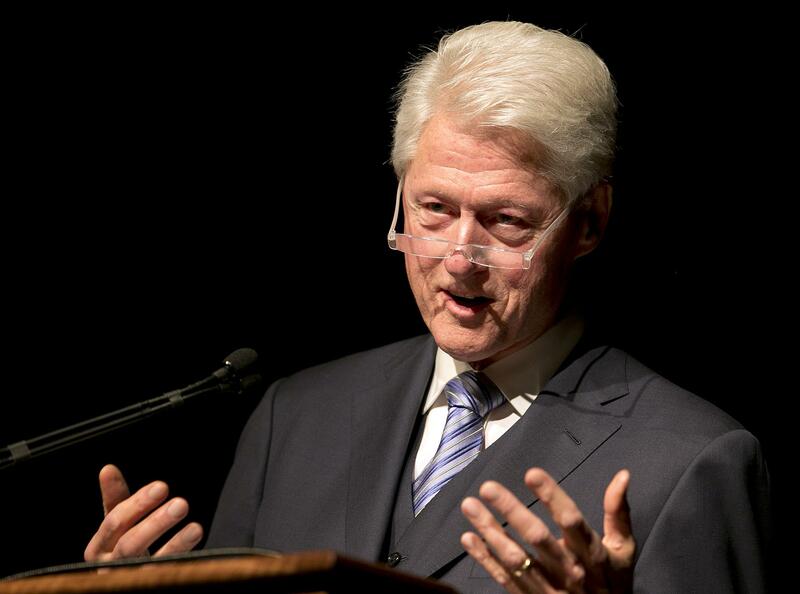 Former President Bill Clinton addresses the audience during the Civil Rights Summit at the LBJ Presidential Library on the University of Texas campus on Wednesday, April 9, 2014. "Anytime you erect a barrier to political participation that disproportionately affects people based on their race or their physical capacity or their income or whether they’ve got a car that can drive far enough and can afford the gasoline to get to a place where they can get an approved photo ID, anytime you do any of that, it undermines the spirit of the Civil Rights Act and the Voting Rights Act," Clinton said to applause. 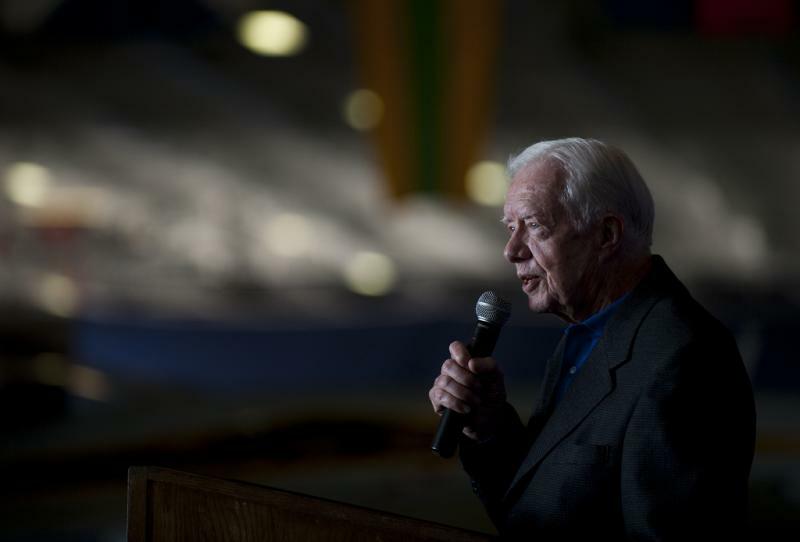 Clinton also offered his own tribute LBJ, defining him as a man from a modest background who rose to a position with the power to bring about change while recognizing the responsibility to make the effort. “Gathered his purpose, wielded his enormous political skills and made them work for ordinary people who had been disempowered. A Texan bred with the state’s outsized ambitions saw limitless possibilities in the lives of other poor people like him, who just happened to have a different color skin," Clinton said. Thursday's schedule also includes a speech by former President George W. Bush at 5:30 p.m.
See a full program of events.